The breathtaking look of the GT-R is enhanced by the touches of NISMO in this view, showcasing the GT-R badge above the forward scoop and the carbon runner underneath the swooping cut along the door's lower panel. 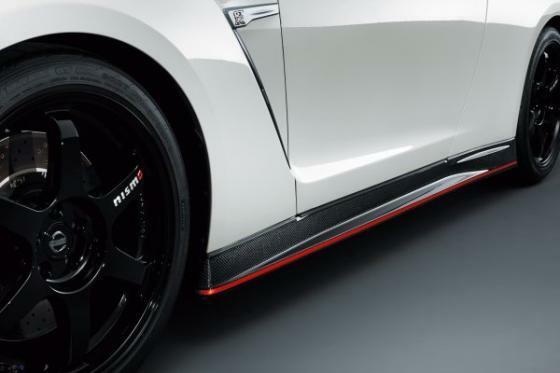 The NISMO red strip and badge on the wheel finish off the combination. The new Nissan GT-R NISMO package is one of the most-anticipated supercar releases in recent times and with a Nurburgring lap record of 7:08, it beats many other competing sports cars in performance as well.